Mass Communication is a field that has to do with professionals. It has a widespread opportunities that one can delve into depending how professional one is. As a graduate of the course, you must be efficient and skillful in any field you find yourself. Mass Communication, as a career, involves communicating to a large group of people through various sources such as newspapers, magazines, radio, TV, films, advertisements, and public relations. All the career options of mass communication related jobs are about meeting tight deadlines. There are wide opportunities as a graduate of mass communication. The major aspects of Mass Communication include television, print and radio. Other fields are public relations, advertising, cinematography, amongst others. Students majoring in Mass Communication are usually interested in careers in journalism, broadcasting, digital communication, or media management and sales. The unique converged curriculum consists of a range of core classes focused on cross media journalistic and technology skills, research and communication skills, and knowledge of concepts, ethics, laws and history of mass communication. You can also select additional courses in journalism, broadcast programming and production, media management and sales, digital communication based on individual career interests. Mass Communication is taught in both universities and polytechnics. 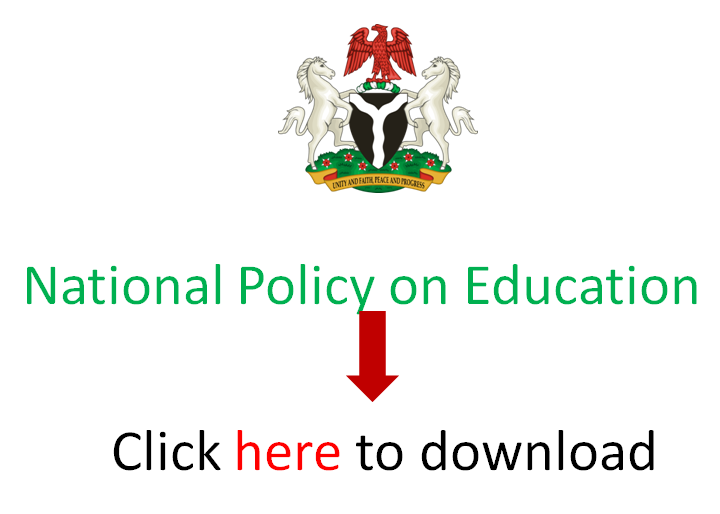 You could always refer to the brochure of the Joint Admissions and Matriculation Board (JAMB) to know more about its availability in your school of choice. Based on the current JAMB Brochure, the following apply for candidates seeking admission to study Mass Communication in the university. Candidates are expected to have credit passes in these subjects in the Senior School Certificate Examination. NB: Mathematics is required in schools like the University of Ibadan. You require; Two ‘A’ level passes in relevant subjects. Some schools have certain considerations in this respect. These are listed below. BINGHAM accepts ND (Upper credit) in Public Administration and other related fields. Requires two A’ level passes to include Government or History. AJAYI requires two ‘A’ level passes (or equivalents) in Literature in English and one other Arts or Social Science subject, plus 3 ‘O’ level credit passes. UNN accepts candidates must possess HSC/.GCE A’ level with pass in two Arts subjects plus UTME requirements. UNIJOS accepts same in Mass Communication plus a pass in Mathematics. a. ND Mass Communication in the Upper Credit division or its equivalent. b. GCE Advance Level of HSC with passes in Literature, History and CRK or any other Arts or Social Science subjects. c. NCE in Theatre Arts or relevant areas with credit. Before one can study mass communication in the university, he/she must be determined, creative, hardworking etc because mass communication cuts across all spheres of life. Whether you desire to specialise in print, broadcast, public relations, advertising, or online journalism doesn’t limit your job opportunities. EduCeleb.com presents you the following as some of the opportunities available for Mass Communication graduates. This field encompasses working at some print or online media organisation. As a journalist, you can work in media outlets such as newspapers, magazines, or blogs as reporters, columnist, or editors. You, also have the chance of being a freelance journalist/reporter within the confines of your room reporting independently. You work as a freelance reporter, reporting designated beats, government agencies or private companies. Careers in marketing and advertising includes working on both the creative side as well as the business side. Professionals on the creative side focus on the development and production of advertising campaigns for print, online and broadcast distribution. On the business side, career opportunities exist with agencies and media outlets. It takes a creative thinker to work as an advertiser. Such professionals give suggestions to companies as of how they can compete with other related product in the society. As a graduate of Mass Communication, you have the opportunity of working with advertising agencies like Bedouin, and Noah’s Ark agency. Mass Communication students are taught foundation of photography such as Still Photography, Basics of Camera, Lights & Sound, and Operation & Handling of Video. You can take Photography as a full-fledged career after the mass communication degree. There are quite a number of photojournalists in Nigeria today who are making waves with the photography job. Photojournalism is telling a story with the aid of pictures. Many media organisations employ photojournalists who go out and tell a story through the use of a professional camera. A photo journalist can work in any media organisation of choice. Lecturers of Mass Communication teach their students on how to write for online, print and broadcast. Content writers write blogs, articles, content for websites, and other areas. Mass communication graduates work as editors and writers in esteemed newspapers and magazines. These are the people who are radio and television presenters. They host programmes, interview guests for on air education and entertainment. It requires someone who can host a programme without any intimidation. As a mass communication graduate, this is also an advantage for you to work. A Mass Communication graduate can be an editor in a television, radio, print or online media. They are the ones who oversee what is being heard or read by the people. Editing is the process of selecting and preparing written, visual, audible, and film media used to convey information. An editor is someone who is a critical reader in ensuring that things go smoothly in the media organisation. An editor can work for a television, radio, print media organisation. Event management firms are growing day by day. A Mass Communication graduate can work for an event management company as an event manager. He may set up his own firm handling events too. It’s a high paying industry and is growing day by day. Your teachers in either the polytechnic or university must have studied Mass Communication or a related course before being employed to teach you. If teaching or what you call lecturing catches your fancy, obtain postgraduate degrees and seek employment in one tertiary institution that offers Mass Communication courses. A teaching qualification would also apply if you don’t have one yet. Current regulations in the National Policy on Education indicate that every teacher should be trained, and certified through any of the recognised teacher training institutions. After that, they would be licensed by the Teachers’ Registration Council of Nigeria (TRCN). Beyond your degree, your versatility and level of connection with current developments in the mass media, new media, and other technologies may be needed to prepare the next generation of mass communication graduates. Public relations professionals may have chosen their specialisation from their training in Mass Communication. PR involves the professional maintenance of a favourable public image by a company or other organisation or a famous person. You are saddled with the responsibility of building a mutually beneficial relationship between the entity you are representing and the public. More often than not, journalists are used as public relations officers. But there are still other persons and organisations who are strictly into PR. Some go ahead to establish companies on this and offer their services to a wide range of clients. Beyond university studies, PR professionals may equip themselves with the Nigerian Institute of Public Relations (NIPR) certification programmes for personal development. There is no limitation to what Mass Communication graduates can do beyond these. You’ve got to be creative in either working with established enterprises or initiating one. What other career options did we miss out? Do share with us using the comment box below.